Posted on January 29, 2017 at 11:39 pm. Casino developers from around the world are doing their best to charm partners in Japan after a bill to legalise gambling in the country was passed in late 2016. While the gambling laws aren’t expected to be finalised until the end of 2017, that isn’t stopping global operators from trying to get their foot in the door of what’s expected to become the second largest casino market in the world. Las Vegas Sands, MGM Resorts, Hard Rock Café International and Genting Singapore Plc are amongst those showing interest in breaking into the Japanese market. 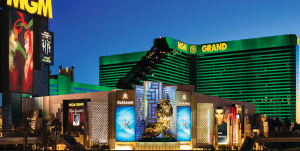 MGM Resorts intends to increase its number of staff and resources to avoid losing out. “The opportunity that Japan represents is one of the most significant anywhere in the world,” said MGM executive vice president of global government and industry affairs Alan Feldman. It is predicted Japanese authorities may initially approve only two or three casinos. It is not just the multi-million dollar corporations that want a piece of the pie. Political sources expect local authorities will team up with major global operators in the bid for casino licensing. Not surprising, considering the addition of just two casinos is expected to bring in more than $10 billion in gaming revenue for Japan. Osaka and Yokohama are at the top of the list for possible integrated resort locations, as Tokyo’s prospects are hindered by height restrictions and its hosting of the upcoming 2020 Olympic Games. The Osaka Prefecture, City of Osaka, the local tourism bureau and other organisations are joining forces to come up with elaborate strategies to win casino hosting rights for Osaka. The group intends to create a strong marketing strategy for an integrated resort on Yumeshima Island in Osaka Bay. On the other hand, Mayor of Yokohama Fumiko Hayashi isn’t quite so keen. While she showed initial enthusiasm about the prospect of hosting a casino resort in a bid to boost the regions economy, the mayor has since had second thoughts as she faces a tough re-election campaign against an anti-gambling candidate. “A policy to deal with gambling addiction problems is extremely important. This is what the city needs to first discuss. Hosting an IR facility is just one way to promote local economic growth,” Mayor Hayashi said. Politicians and officials are under pressure, with polls showing strong public opposition to the legalisation of casinos due to fears of an increase in gambling problems, crime and money laundering. A Japanese Liberal Democratic Team consisting of three dozen officials has been assigned the task of recommending the gambling policies that should be put in place. Last week the team had its first official meeting, discussing such matters as problem gambling and the potential blueprint for the construction and operation of integrated resorts (IRs) in Japan. “The team was formed to discuss specific details on how IRs will be run, as well as to come up with policies for dealing with concerns about an increase in gambling addicts,” Policy Research Council Chairman Toshimitsu Motegi said. A bill establishing the rules for casino operations is expected to be passed by the end of the year. Locations and operators are expected to be selected by 2019, with casinos scheduled to open in 2023.